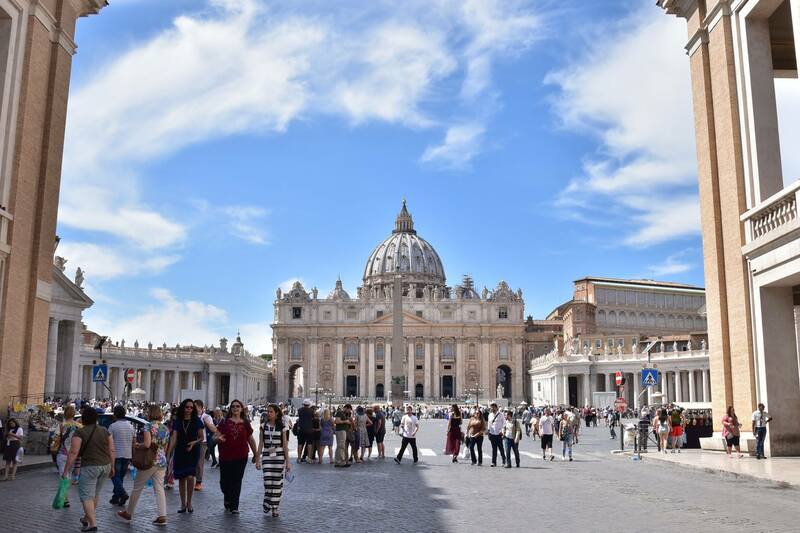 Rome has always been a top destination city for travelers longing to marvel at Europe’s greatest – magnificent centuries-old architecture, prolific art, cobblestone streets, and of course, one of the most renowned cuisines. Rome, as it is very appropriately named really IS the Eternal City to be marveled at and experienced slowly, paying careful attention to the details that compose its grandeur. 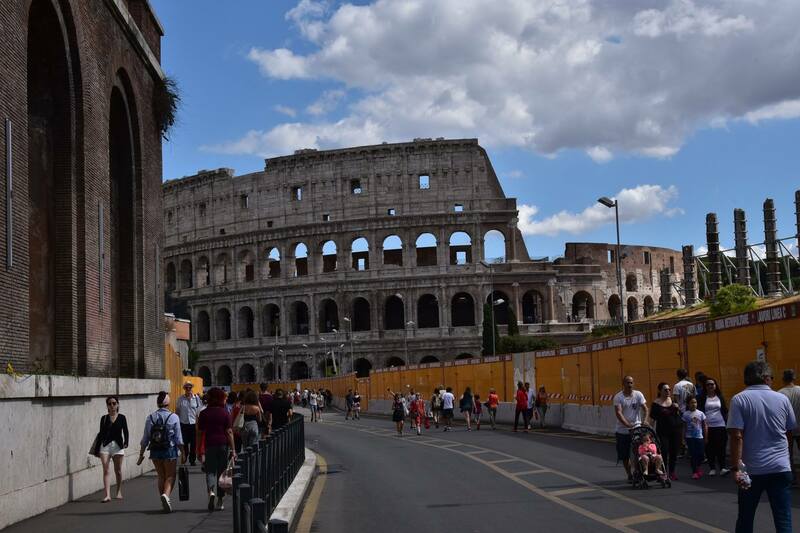 Rome is not a huge city in size, but you will need extra time to really be able to explore all that it has to offer. 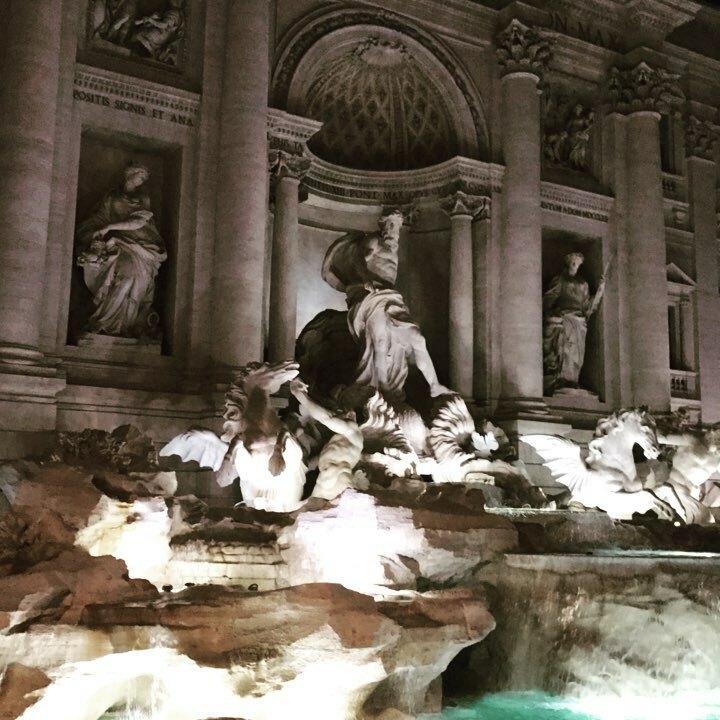 I spent 3 days walking Rome’s streets and felt that it was a good amount of time for an introductory trip. I would not recommend spending less than 3 days – there’s simply too much to see that just cannot be missed. 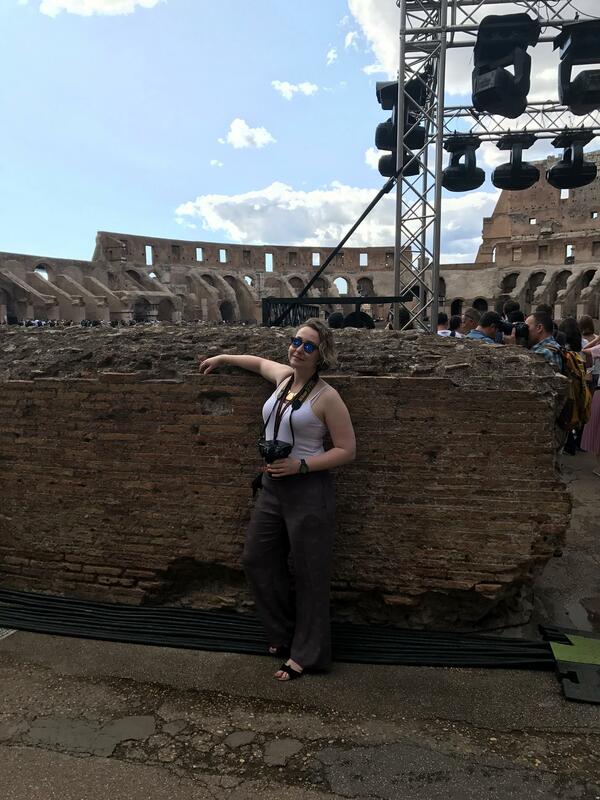 Thus, I’ve put together a sample itinerary that worked well for me to provide you with useful tips for planning your first trip to the Eternal City. I’ve also included my favorite food spots and shopping tips for a comprehensive local experience. I am a fan of red-eye flights to Europe so when I get off the plane in the morning or early afternoon, I find it best to have a loosely planned itinerary for the day for several reasons. First, your flight may be delayed and you will get into the city at a much different time than you planned, therefore it’s very risky having reservations for tours/attractions on the first day. Second – you will be tired and you don’t want to do anything intense for a prolonged period of time. 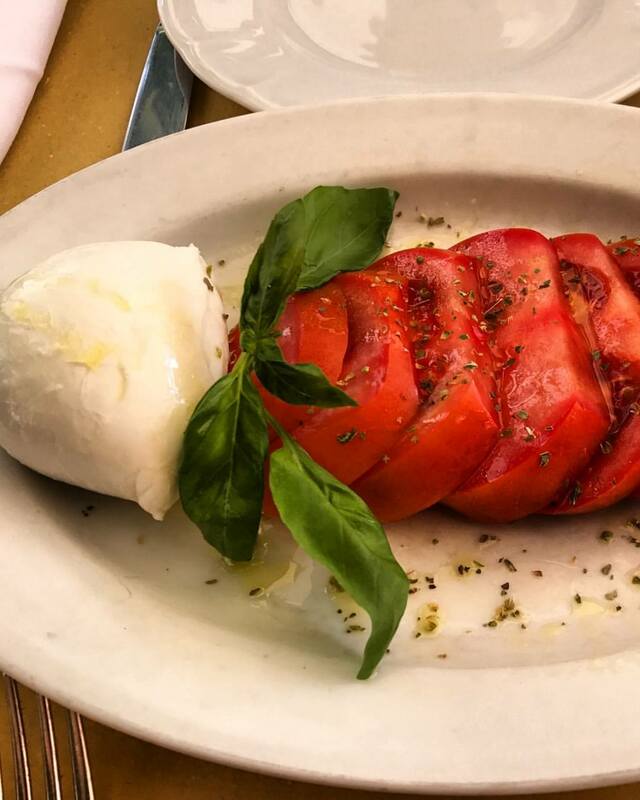 My routine usually involves checking into the hotel, freshening up, getting food, and then hitting one or two must see spots that I can walk to and simply enjoy. And let me tell you – there are plenty of these sites in Rome. 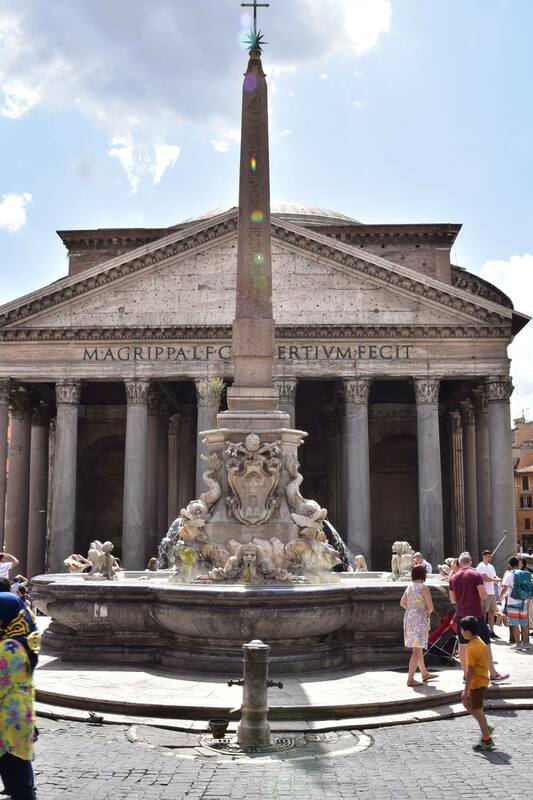 Notes: The Pantheon is a functioning church with regulated hours – make sure you check the opening hours for the specific day of the week you’re going there and also keep in mind that it may be closed due to any special occasion/holiday observances. Yes, these are all tourist hot spots, but for a good reason. 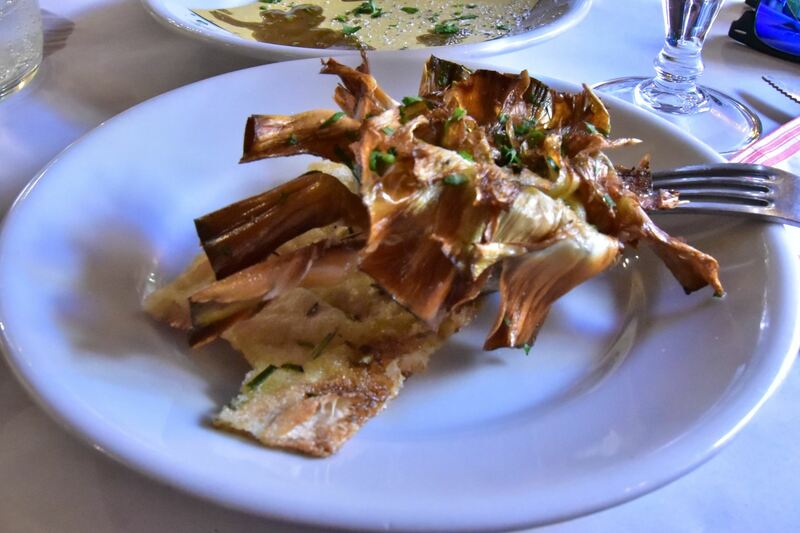 If you’re taking your first trip to Rome, these are a must – you will not be disappointed if you follow a few of my tried suggestions. 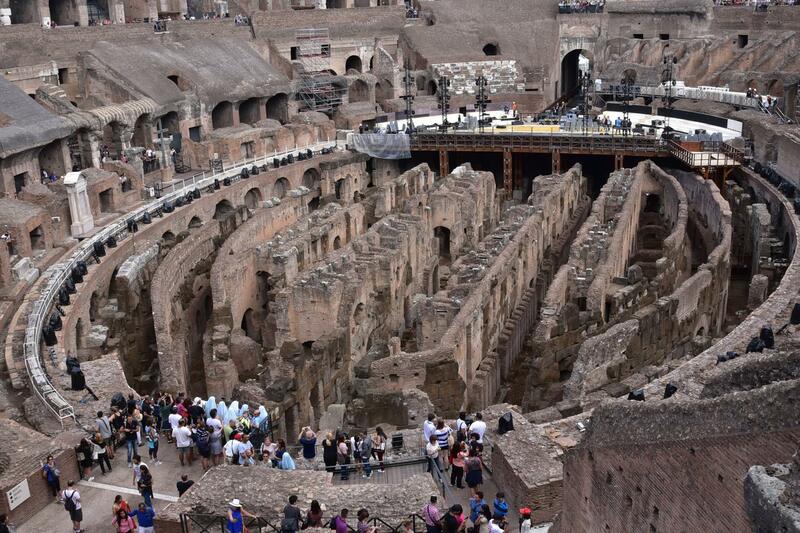 The tour will cover all three of these sites and you will be able to skip the absolutely insane lines to get into the Colosseum. Yes, it will cost you extra, but trust me, it will be worth it. Otherwise, you will spend 2-3 hours in line just waiting to get in. Another great reason to get a guide is this – everything you’ll be seeing has so much history and context that it’s almost impossible to walk around with your own book trying to understand what you’re looking at. The guides are experienced and very knowledgeable and will be able to tell a much fuller story about the sites you are visiting as well as answer questions you may have – and you will have questions. 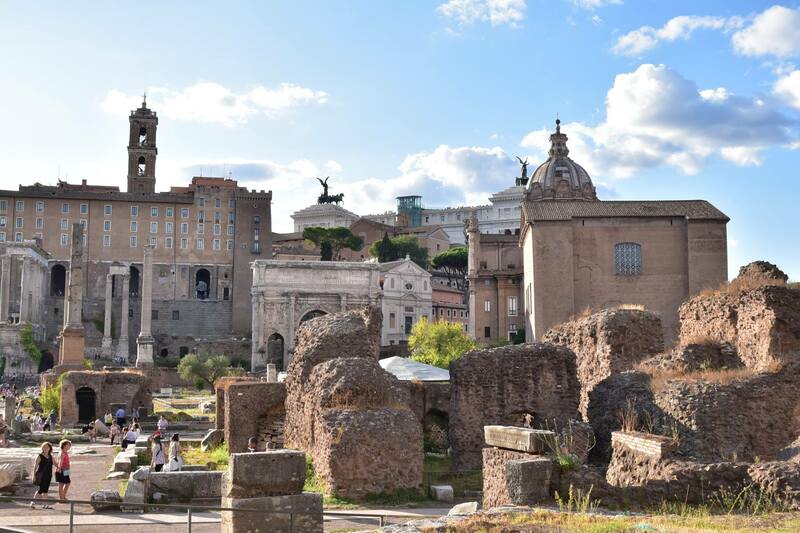 Roman sites are a lot to take in (especially if you are an art history nerd like me) so it’s really worthwhile having an expert tell you the history behind everything. 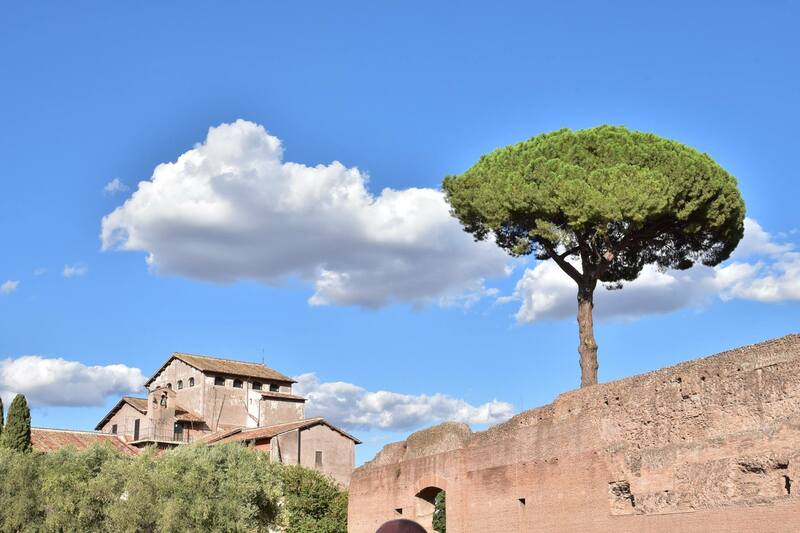 Viator has a ton of different Rome tours so pick the one that suits you best. 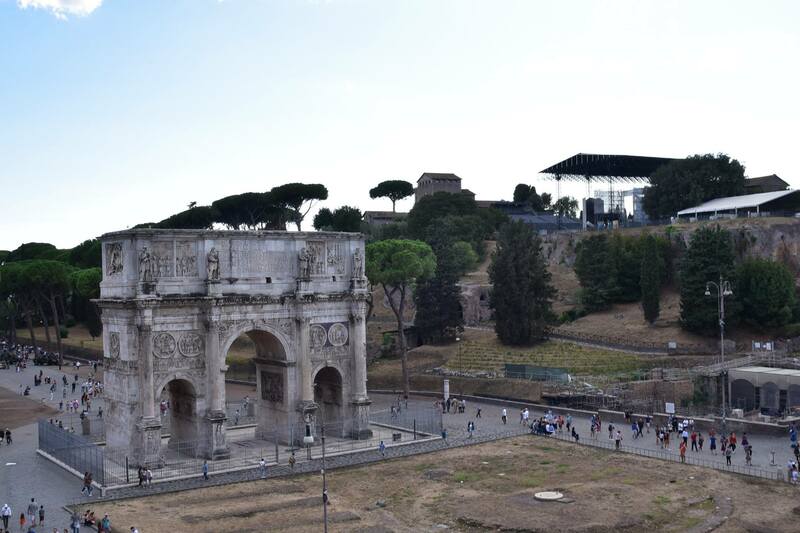 views you can see from inside the Colosseum – this is the Arch of Constantine overlooking the Palatine Hill. The majority of the streets you’ll be walking on are still cobble stone – so trust me, you DO NOT want to be wearing heels, even small ones (unless you have a medical reason to do so) while walking. I don’t even recommend platforms as it is very easy to trip and hurt your ankle. Honestly, this is the place to either get an extremely comfortable pair of flats/moccasins or actually wear sneakers. Just keep the sneakers trendy and no one will even look at you twice. Another essential – bring a water bottle with you. There are fountains all over the city where you can refill it instead of having to pay 2 euro for a bottle every time you are thirsty – and you will be thirsty if you’re walking around in the summer, it gets very hot. 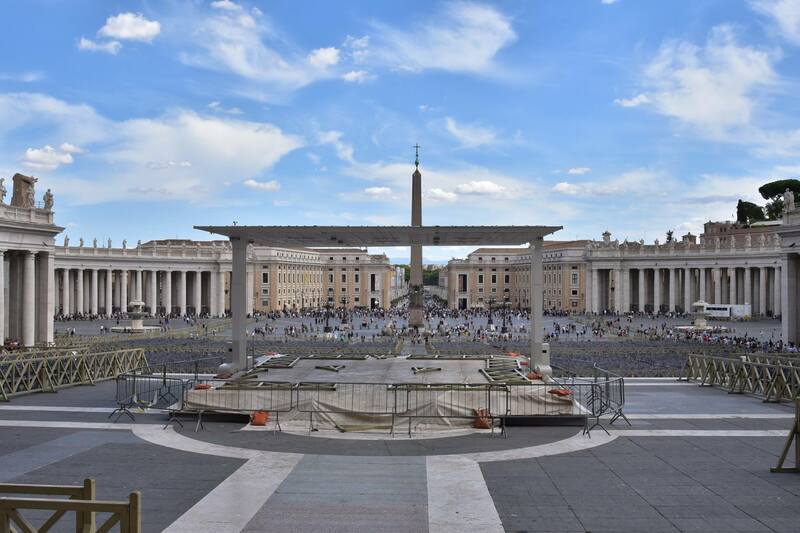 To be perfectly honest, one day is not nearly enough for the Vatican, but if you’re visiting for the first time and you only have a few days, you can get a good overview of the place. 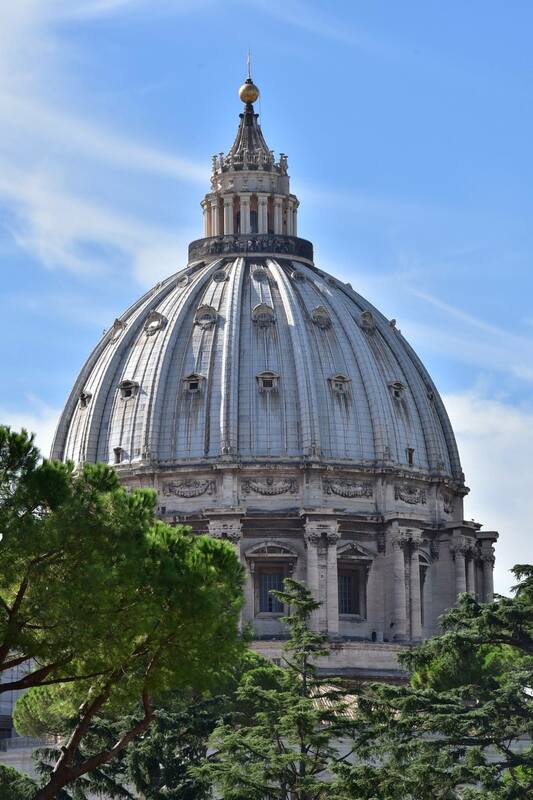 The most awe-inspiring site is, of course, St. Peter’s Basilica – talk about a grand church. This one is the grandest of the grand. I highly recommend also booking a tour to the Vatican museum and Sistine Chapel. I found Viator a great place to book tours as they have a lot of different options to choose from. Otherwise, you will be standing in line for hours, TRUST ME. The unfortunate thing, as you can imagine, is that the Vatican is PACKED with tourists so it’s very crowded and actually impossible to go through the museum galleries at your own pace. 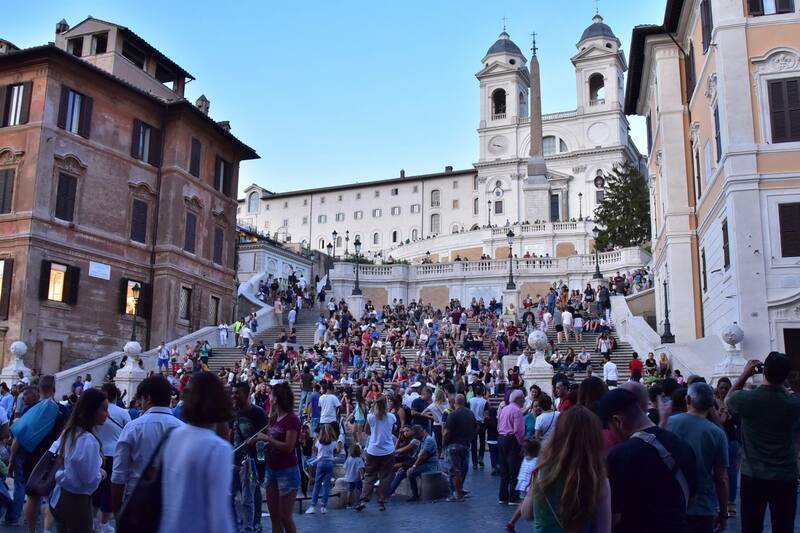 Keep this in mind when going – you will have to deal with massive crowds of people and you will have to keep moving through the galleries despite your desire to walk slowly, taking in the thousands of years of art history. 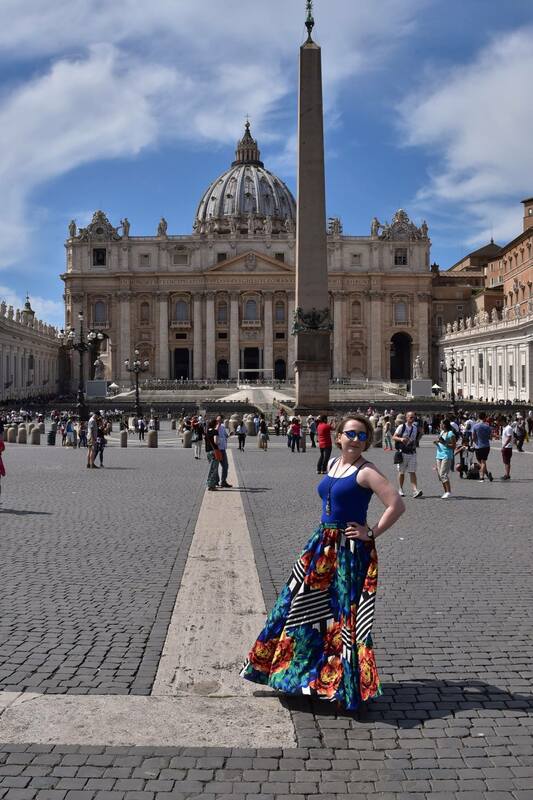 Notes: When you go to St. Peter’s Basilica, make sure your bottoms are below the knee and you have something to cover your shoulders – otherwise, they won’t let you in. Same goes for the gents. Water is not free UNLESS you specifically ask for a GLASS of water (bicchiere d’acqua). Otherwise, they will bring you a bottle of sparkling or still water and you will be charged for it. You don’t need to tip, but if you really enjoyed the service, 10% is the maximum you should. 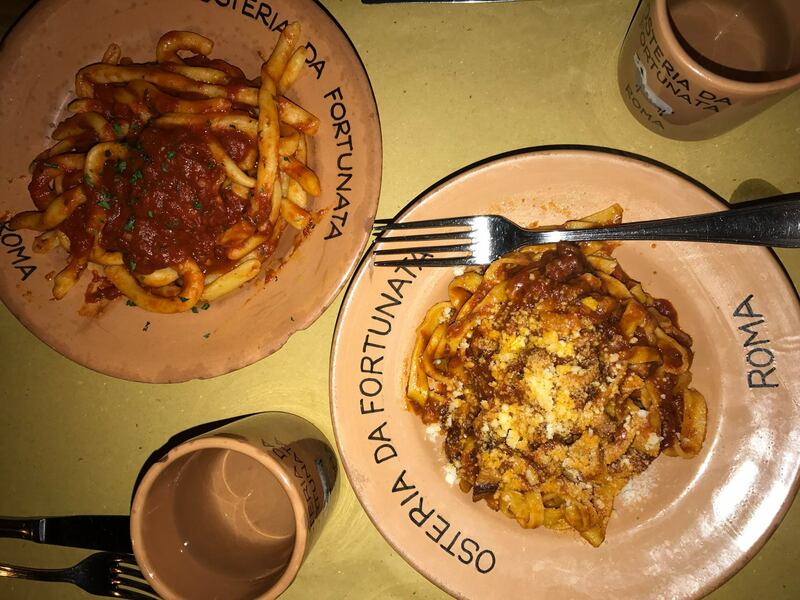 This was the first dinner we had in Rome and definitely one of the best. This restaurant was about halfway from where we stayed in Trastevere and the area with all the major stops (Trevi fountain, Pantheon, etc.) 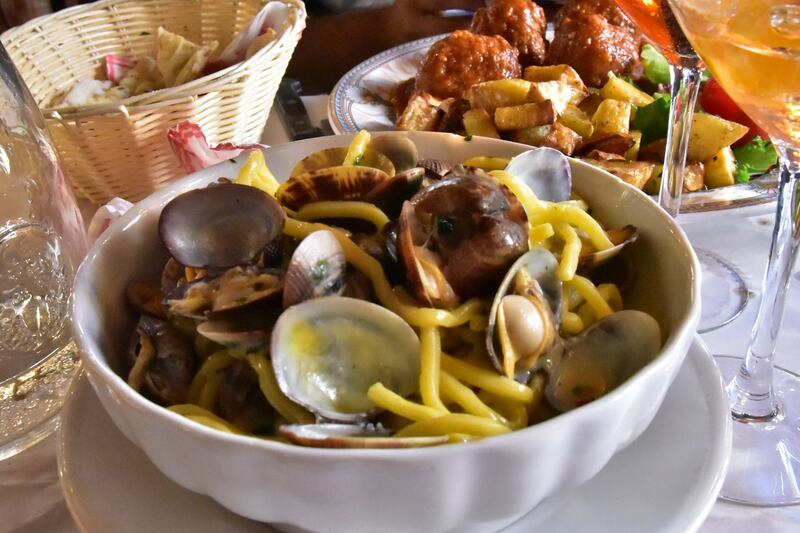 The restaurant itself is very small and the middle area is dedicated to two nonnas making fresh pasta before it gets cooked up and served to you. I don’t think you can get more fresh than that. This is a very fun and delicious joint with some very outspoken and singing waiters. 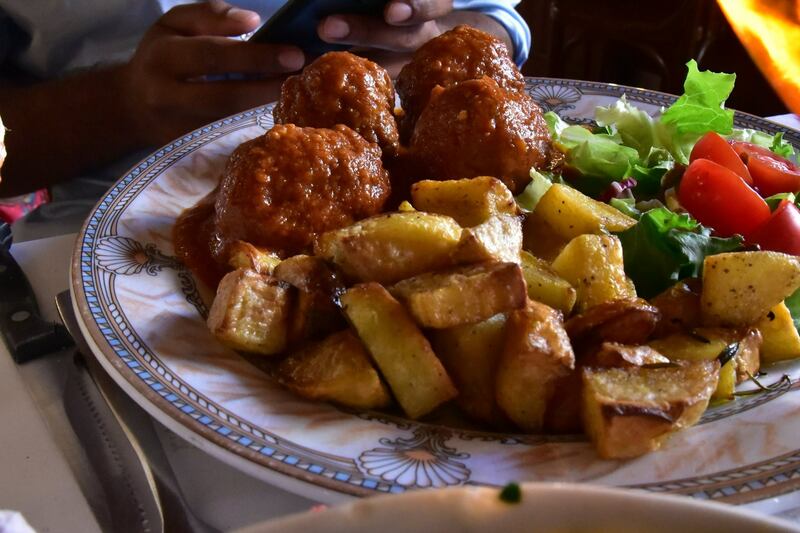 It is in Trastevere, so if you are visiting that area, definitely give this a go. We had a very delicious meal here right after getting back from the Vatican, utterly exhausted. 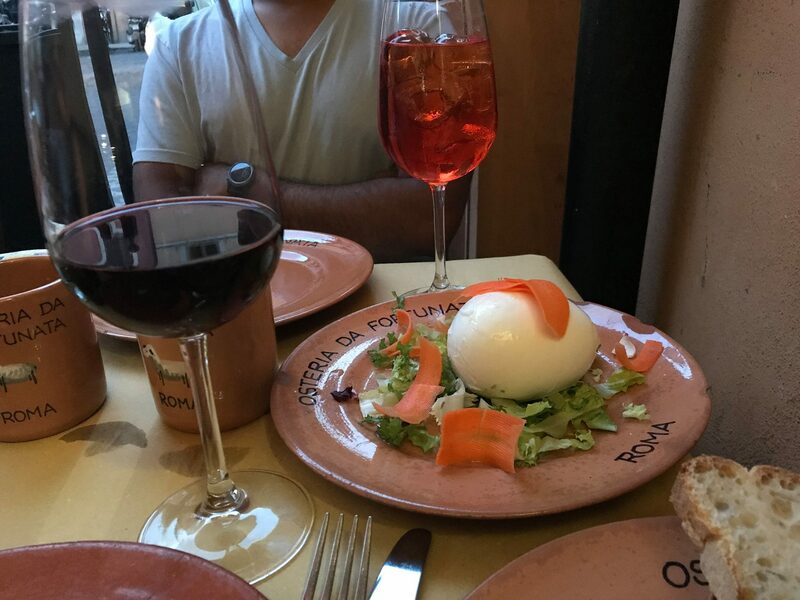 Another great place in Trastevere – this is where the locals go for great cocktails and appetizers. The place was packed in the summer, even outside. We ordered a meat and cheese board to go with our cocktails and it was enormous (and delicious). 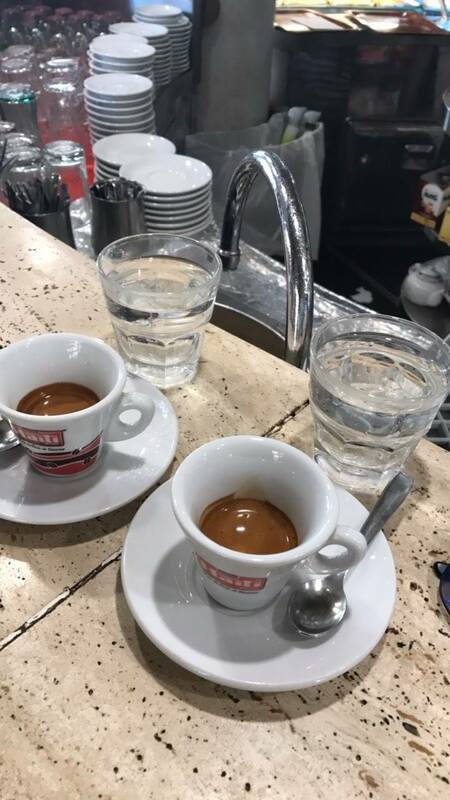 Don’t forget to stop at an espresso bar – you order the espresso and you drink it standing up, just like shots. 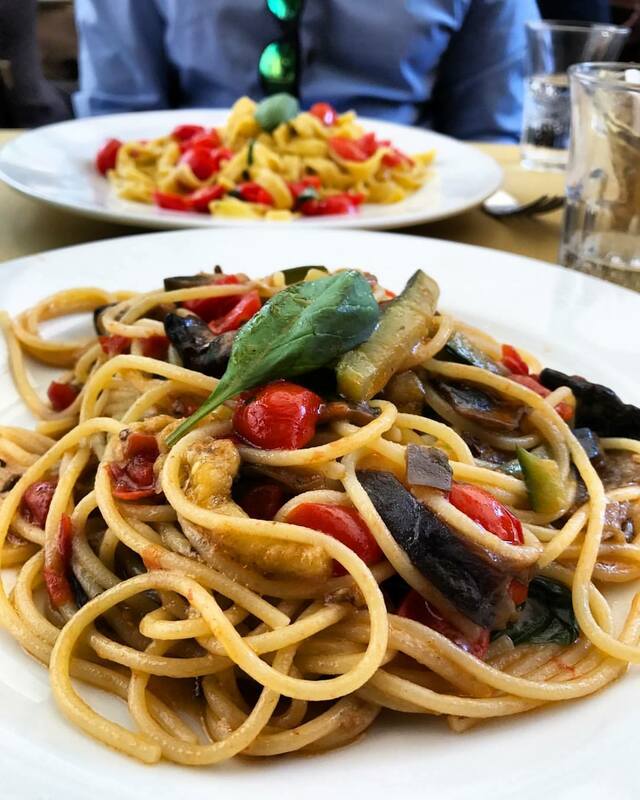 Another place worth mentioning for the most delicious and simple pasta with vegetables – Osteria da “Zi” Umberto. The owner is obviously Italian, but spent years working in New York before coming back home. I’ll be honest, I had a very set mission in Rome when it came to shopping – I wanted a Mancini bag and I wanted good quality shoes without having to pay a fortune. I read about Mancini in a blog post and firmly decided that this was the place I wanted to go and get myself an authentically hand-made Italian bag. 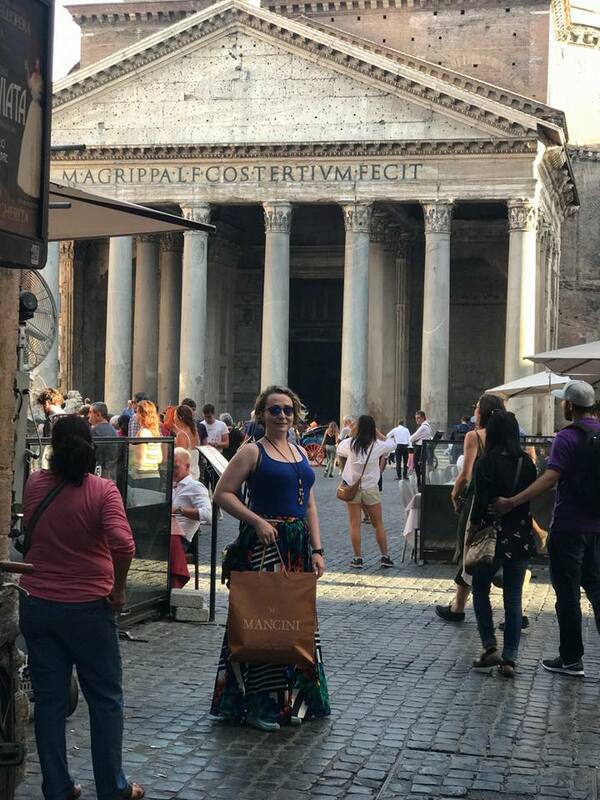 Rome is not really the capital of leather, so it’s actually pretty difficult to find local, privately-owned shops with handmade artisanal bags. 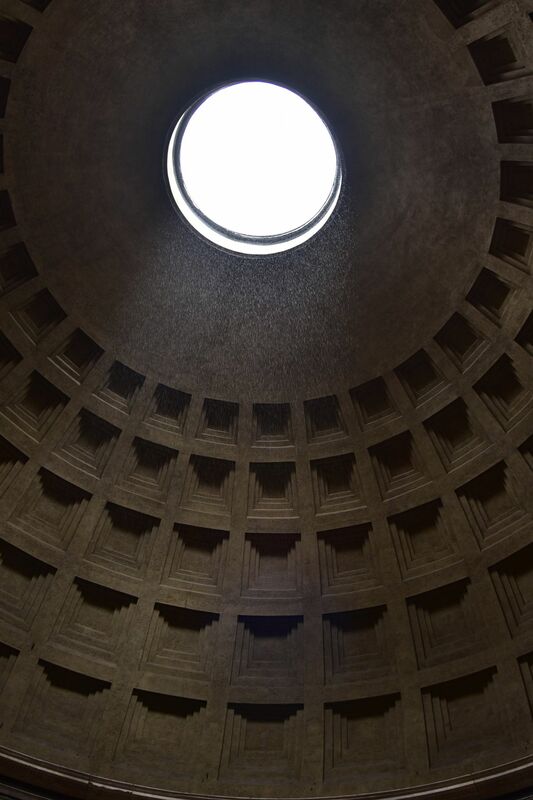 Mancini is third generation bag-maker and his shop is right behind the Pantheon – you can’t miss it. 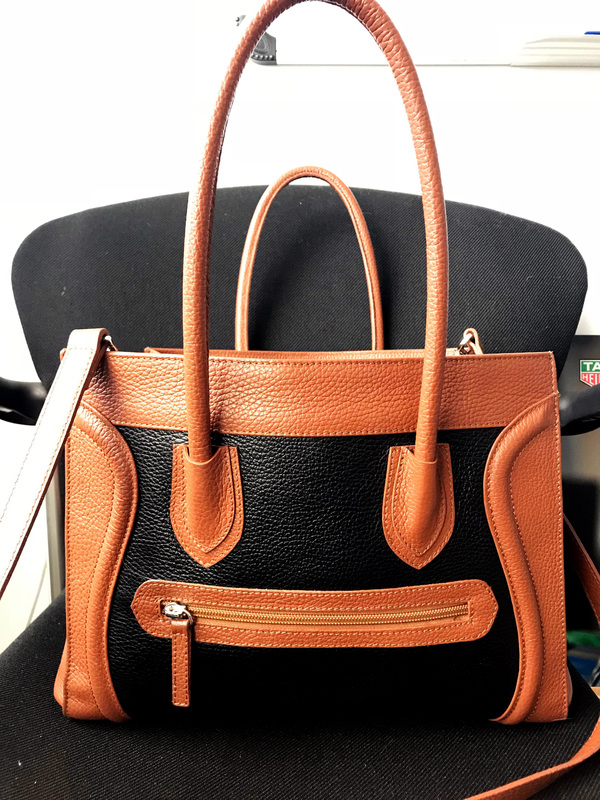 He doesn’t have a lot of variety, but the styles he does have are absolutely beautiful classically-inspired bags, but definitely with a modern touch. As you walk in, Mancini welcomes you and personally presents every single bag that you are interested in. He even makes you walk over to a full-length mirror to see the bag on you. I happened to find just what I was looking for, hiding in one of the windows. I have to be honest that it was very difficult to walk out with just one bag. His creations run in the $200-700 range so it’s well worth the spend to get a handmade authentic bag for that price. You can also order a custom bag, if you have a couple of days to spare in Rome. Definitely check this shop out if you’re looking for a well-made, authentic, and reasonably-priced bag. 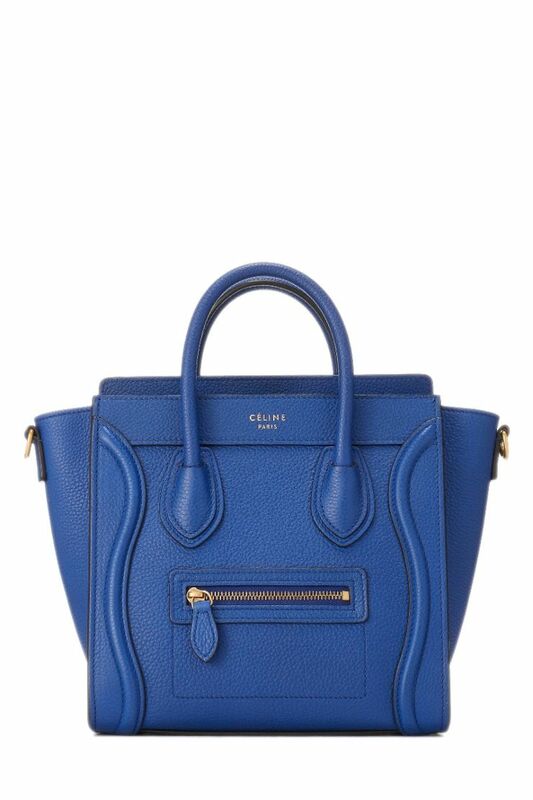 Here’s my $350 Mancini bag next to a $2,450 Celine bag. To my great dismay, Mancini was not in the business of shoe-making so I had to go elsewhere. “Too complicated” he said. I stopped by a few local shops and became increasingly convinced that I would pay the same price in the States for the shoes I was seeing, with questionable craftsmanship. So I settled on a recommendation given to me by my very own Roman friend and went to Bata. Bata is actually a Czech company with shoes being made all over Europe, but I had not seen any of their stores elsewhere in Europe (at least in the cities that I’ve been to). As expected, Bata did not disappoint – I walked away with two pairs of beautifully-crafted leather shoes (flats and heels) for a very reasonable price. 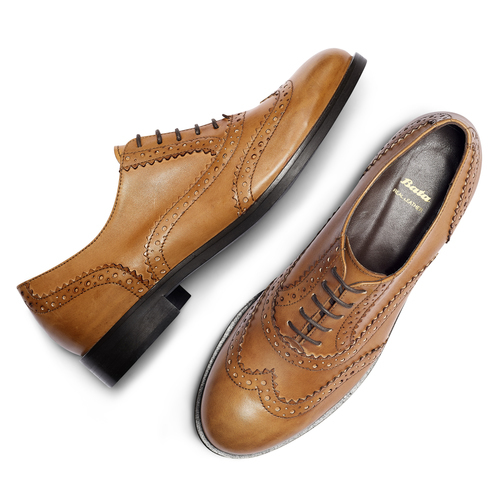 I could not, for the life of me, find a decent pair of these beautiful shoes in the States.